My experience with preparing and delivering sermons led me to the deep conviction that my sermons had to preach to me before they would preach well to the people I served as pastor. I was off to a bad start if I thought the message I was prepping was going to correct my wayward parishioners from the error of their ways. Even worse was when I’d catch myself thinking of a certain person who needed to hear the message. Invariably that person was missing from the congregation when the message was delivered; God had His ways of keeping me in line! I had to let God speak to me through the message before I could hope the message would speak to the people. I’ve also come to the conviction that the same principle applies to pastoral ministry far beyond the parameters of preaching. 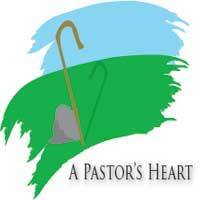 While pastoring I wanted God to use me to change the lives of those whom He entrusted to my pastoral care. What God wanted to do first was to have me change! I was not perfect in any given area of the Christian life (as I still am not), so in every area there was ample room for Him to work the change in me first, if I was open to it. Upon rising from our beds most of us spend more time gazing into the glass of a mirror rather than through the glass of a window. Oh, we may peek outside a window to see what the weather’s like, but we’re likely to spend far more time peering into the mirror and fixing what we see so that we’re presentable to the public. So it should be with pastoral ministry. More time should be spent reflecting on how we need to make the same changes that we see need to be made in the lives of our parishioners. Mirror first, window second!